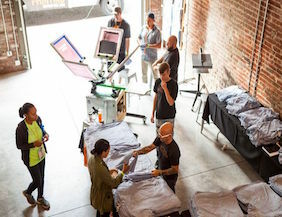 The roundtable facilitates discussion among regional manufacturing leaders, allowing a peers to learn from shared experiences and identify common challenges. Get more information about the Manufacturer’s Roundtable. A partnership between the Knoxville Chamber, Oak Ridge National Laboratory, the University of Tennessee, and BWXT Y-12 in conjunction with national manufacturing associations, the program acts as an information conduit for local, technology-focused companies. Learn more about TMM. Sixty Knoxville-area business leaders meet regularly to address the implementation of diversity and inclusion policies in our workforce and our community. Get involved in with Diversity Champions. Learn more about the no- and low-cost programs available to companies expanding their operations in Innovation Valley. 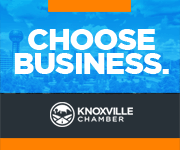 Grow your business with the Knoxville Chamber.